The NCAA Division 1 wrestler faces more experienced opponent on the 24th of March in Bangkok, Thailand. In February MMAnytt travelled to Phuket, Thailand to get an inside look at AKA Thailand and got a chance to sit down with Butler and have a chat about his background, the road leading up to the fight in Bangkok and his thoughts on opponent Gilberto “Giba” Galvão (30-6-1). Butler started wrestling at 8 years old at Point Pleasant, New Jersey, wrestling all the way through high school and Princeton University. After finishing his studies he got a prestigeous job at Wall Street – but something was missing. He was unhappy and the competitive fire was still burning strong inside him. 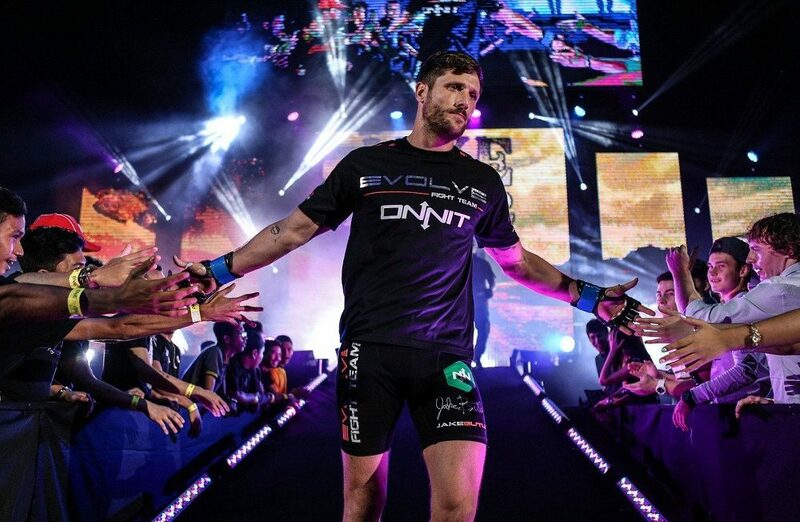 He decided to move to Singapore to train at Evolve MMA – where he stayed for five years, and given his extensive background in wrestling, also became the team’s wrestling coach. The choice to move to Singapore ended up being a good one – as his life as a professional fighter has served him well. 2 and a half years ago he became a father for the first time – to his son Jax. The family decided to move back to the States and since then the main focus has been raising their son, while still actively training. When Butler got an offer to fight in Bangkok in March he took it – and started searching for a place to prepare for the fight. In the end he chose AKA Thailand in Phuket. Being a wrestler since a young age has it’s advantages – the work ethic, pushing through fatigue in training even though every inch of your body screams no, the amount of mathches per year and the ability to decide where the fight takes place – standing or on the ground. Is wrestling the best base for MMA? “Im biased because I’m a wrestler but yeah it’s a great base for MMA, but nowadays the sport has evolved alot. You have to have everything, because it is very different wrestling for MMA compared to straight wrestling” Butler continued. ONE Championship has changed the rules regarding extreme weight cuts and all fighters need to do hydration tests regularly to be able to fight for the organization. One step they have taken is adding 10 lbs for every weight class. That means that the bantamweight champion defends his belt at 145 lbs, instead of 135 lbs. This has worked well for Butler, who never had any problems with weight cuts. The fight against Galvao will be contested at middleweight where both fighters need to weigh in at 205 lbs. In the night’s main event, relative unknown Martin Nguyen (10-1) from the Philippines has the chance to make history – as the first fighter in MMA history to hold 3 major titles in 3 different weight classes. Getting there is no walk in the park though – as he faces reigning featherweight champion Bibiano Fernandes who is unbeaten in his last 13 fights. Nguyen is the reigning featherweight and lightweight champion after upset wins over Marat Gafurov (15-1) and Eduard Folayang (18-6). Als0 on the card BJJ legend Garry “The Lion Killer” Tonon makes his MMA debut against Richard “Lion Heart” Corminal.